This research deals with the increasingly complex issues of waste generation, waste management and waste disposal that in less developed industrialised countries present diverse but critical concerns. 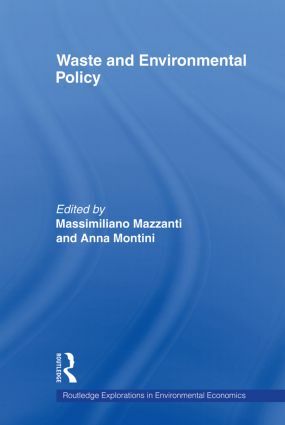 It takes a socio-economic and policy-oriented perspective and provides empirical evidence at EU and regional level. The EU and Italy are taken as relevant case studies given the disparities in environmental performances between less and more developed areas. The rich and various empirical evidence shows that a robust delinking between waste generation and economic growth is still not present, thus future policies should directly address the problem at the source by targeting waste generation in EU countries. Some structural factors like population density and urbanisation present themselves as relevant drivers of both waste management and landfill diversion. Nevertheless, economic and structural factors alone are not sufficient to improve waste performances. Though waste policies are to be redesigned by covering the entire area of waste management, some first signals of policy effectiveness are arising. This work will be of most interest to those students of environmental economics and environmental sciences, as well as policy makers, waste utility managers and companies in the waste management sector.